The painting is part of a diptych known as the "Stories of Judith". 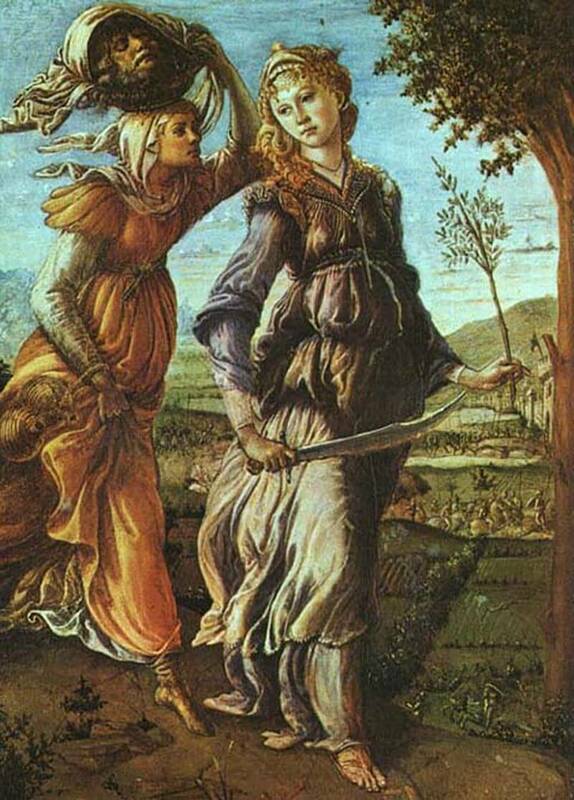 In two separate panels, once united in a frame, Botticelli has portrayed the "Discovery of the corpse of Holofernes" and "Return of Judith to Bethulia". The latter is set in an open space in the countryside. Judith and a maid are walking looking over their shoulder as if to be certain of not being followed. The heroin is still holding in his hand the sword used for decapitation, while her handmaiden is carrying the head of Holofernes wrapped in a white cloth.